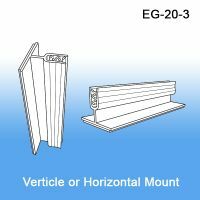 The clear rigid PVC sign holders for the countertop in our line have a wide range of versatility for use in retail stores and other businesses, warehouses or offices. 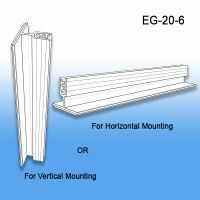 Many have peel and stick mounting, some display with their own weight all in an effort for you to hang signs from the clear pvc sign base. 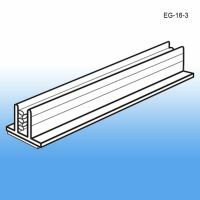 Our clear PVC sign holder are part of our tabletop section of holders, if these do not meet your requirements, search through our main section of signage tools and find what you are looking for. Still unsure, call our friendly customer service team Toll Free at 1-800-452-4778 today and we will be glad to help! 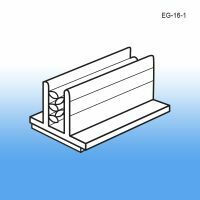 Minimum quantity for "3" Long x 1/2" Wide Grip-Tite™ Card & Sign Holder, EG-16-3" is 100. 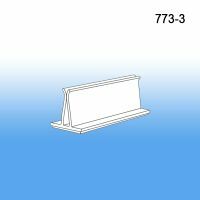 Minimum quantity for "3" Clear PVC Sign Holder, 773-3" is 25. 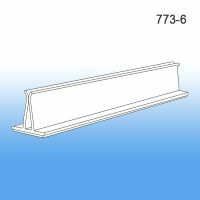 Minimum quantity for "6" Clear PVC Sign Holder, 773-6" is 25. 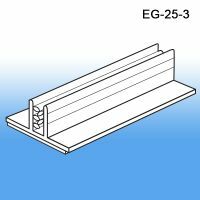 Minimum quantity for "Grip-Tite™ Flexi Sign Holders, 3", EG-20-3" is 25. 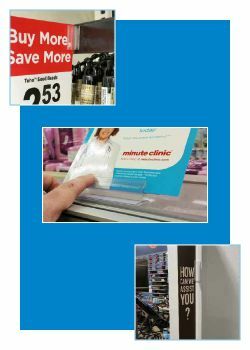 Minimum quantity for "Grip-Tite™ Flexi Sign Holders, 6", EG-20-6" is 25.